To celebrate the great French comedian Jacques Tati and the release of the restored version of one of his films, Playtime. Not only that, the rest of his films have also been given the 4K treatment and a season at the BFI Southbank. A series that any lovers of visual comedy has to go and see. I would love to put these films into an order of greatness but some are hard to do. Also, I’m against putting films into any order. With this, I have put them in alphabetical order with the exception of Playtime as this is the film that is opening the season. He is best known for his great character Monsieur Hulot. A character that you can see that became the basis a certain Ronald Actkinson character, Mr Bean. 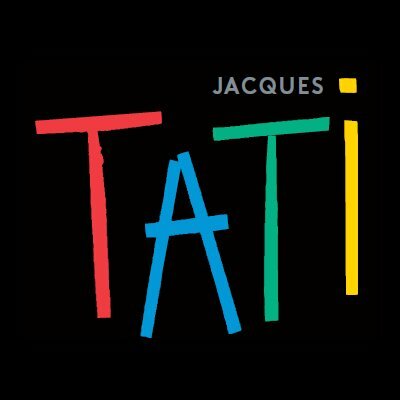 Considered by many to be his masterpiece, PlayTime was the most ambitious yet risky and expensive work of Tati’s career. Monsieur Hulot is set on contacting an American official in the hope of securing a job in a high tech version of Paris. Whilst on his way he encounters a group of female American tourists, resulting in all manner of chaos. Jacques Tati’s award-winning feature debut – a dazzling blend of satire and slapstick is early evidence of his unique talent. Acclaimed by international critics as an innovative comic masterpiece, Jour de fete is an hilarious expose of the modern obsession with speed and efficiency, set amidst the rural surroundings of a tiny French village. Monsieur Hulot visits the technology-driven world of his sister, brother-in-law, and nephew, but he can’t quite fit into the surroundings. Two children go behind the scenes of a small circus where they encounter Jacques Tati. Mr. Hulot drives a recreational vehicle from Paris to Amsterdam in his usual comic, disasterous style. Of course there is a bit of me in Hulot, but there is also a bit of all of you.